Opening the files of the former communist security services has been a long and painful process for most of the East European States. In Bulgaria, The Dossier Act (officially The Law for Access and Disclosure of the Documents of Affiliation of Bulgarian Citizens to the State Security and the Intelligence Services of the Bulgarian National Army) was adopted in December 2006. It established the Dossier Committee which is responsible for opening formerly closed Intelligence files to the public. Before the Dossier Act, researchers faced ineffective access to archives and an unwillingness by institutions to open these files. Often, the courts were their only remedy. The right to turn to the courts for access was established six years earlier, in the Access to Public Information Act (APIA). At the Act’s inception, journalists were skeptical toward the law’s effectiveness. Nevertheless, they soon realized APIA greatly helped their journalistic endeavors. APIA was used to investigate government misconduct, to unveil corruption, and to trigger public debate on questionable topics. Some journalists used APIA for accessing the historic files Communist Bulgaria’s former security services. In the face of Bulgaria’s void of legislation and the insufficiency of its institutions, journalists used APIA and the courts to conduct some of the most informative and important investigations into the mysteries of the Cold War. Hristo Hristov from the Dnevnik daily set the precedent. While researching in the archives of the former security services about concentration camps in Bulgaria, Hristov found documents proving that the Bulgarian secret services participated in the infamous assassination of the Bulgarian dissident writer Georgi Markov in London, 1978. The case has become a symbol of the Cold War, in no small part due to the fact that Markov’s assassin used a poison-tipped umbrella on Western soil to kill the dissident. Hristov’s appealed the denial and won. 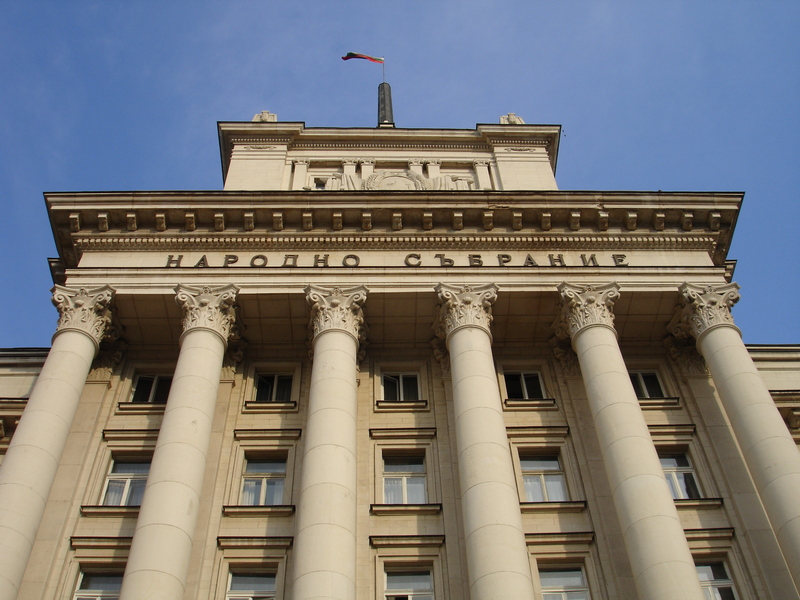 The Supreme Administrative Court found that the Access to Public Information Act dictated that citizens should have access to documents of the former State Security Service held by the Ministry of Interior. But not all of the former Security Service files were held by the Ministry of Interior. Hristov also had to fight for access to former Security Service records held by the current National Intelligence Service. In 2004, again Hristov submitted an Access to Public Information Act request to the Director of the National Intelligence Services for access to these documents. The Director ignored Hristov’s request and the journalists was forced to file a court appeal. The proceedings took three years but did not stop Hristov of publishing his 2005 history, Kill the Wanderer – Bulgarian and British state policies with regard to the Georgi Markov’s case. 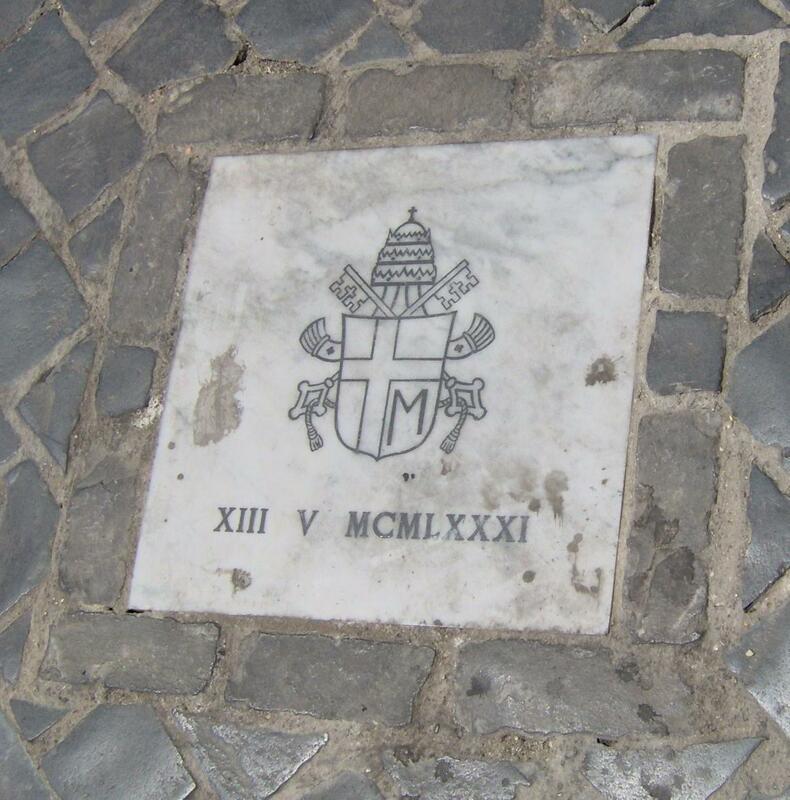 A marker at the spot of Pope John Paul II's attempted assassination. His coat of arms is displayed. Another journalist challenging the unwillingness of the Director of the National Intelligence Services to provide access to the archives of the former Bulgarian SSS is Bogdana Lazarova, a legal reporter from Darik Radio. On May 12, 2005, Lazarova filed a request for access to information to the Director of the National Intelligence Service, demanding access to documents held by the First Bureau of the former Intelligence Service related to the case of Sergei Antonov and the assassination attempt against Pope John Paul II in 1981, in which Bulgarian Intelligence allegedly played a role. The Director of the NIS denied access, claiming that the information was classified as a state secret. Lazarova, appealed the denial and in February 2007, the Sofia City Court sided with her and ordered National Intelligence Sercie to provide access to the documents. Two years after the court decision, 40,000 pages of documents were provided to Lazarova through the Dossier Committee, making Lazarova the first journalist allowed to read Bulgarian Intelligence documents related to the assassination attempt on Pope John II. The first results of her work, The Unopened File “The Pope” of the Bulgarian Intelligence – 28 Years Later, were broadcast by Darik Radio on March 11, 2009. 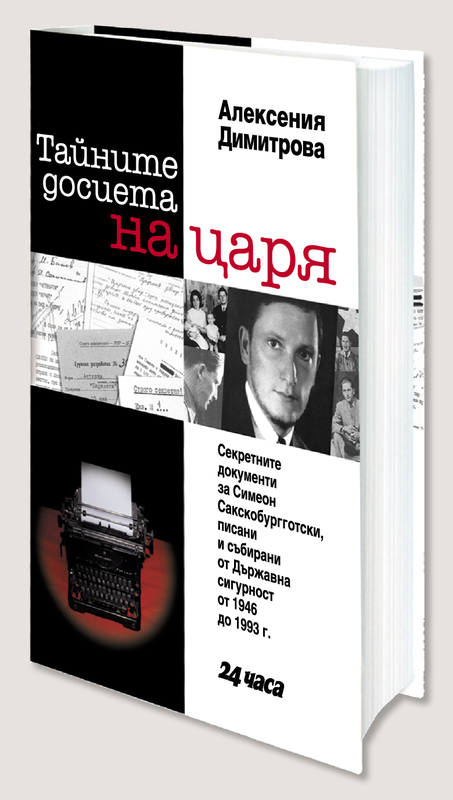 Lazarova is also the author of three investigative books based on former Security Service documents. Her latest book, That List, was published in June 2010. It is based on 13 files of documents amounting to 5,000 pages, declassified and released to her after an APIA request. According to Lazarova, “The Chief Prosecutor put his signature under the decision for disclosure, knowing that this might expose him to political pressure. That was why I tried to keep my investigation secret for the past year and surprisingly succeeded.” The book reveals the circumstances surrounding the 1992 disclosure of all undercover Bulgarian Intelligence officers working abroad. 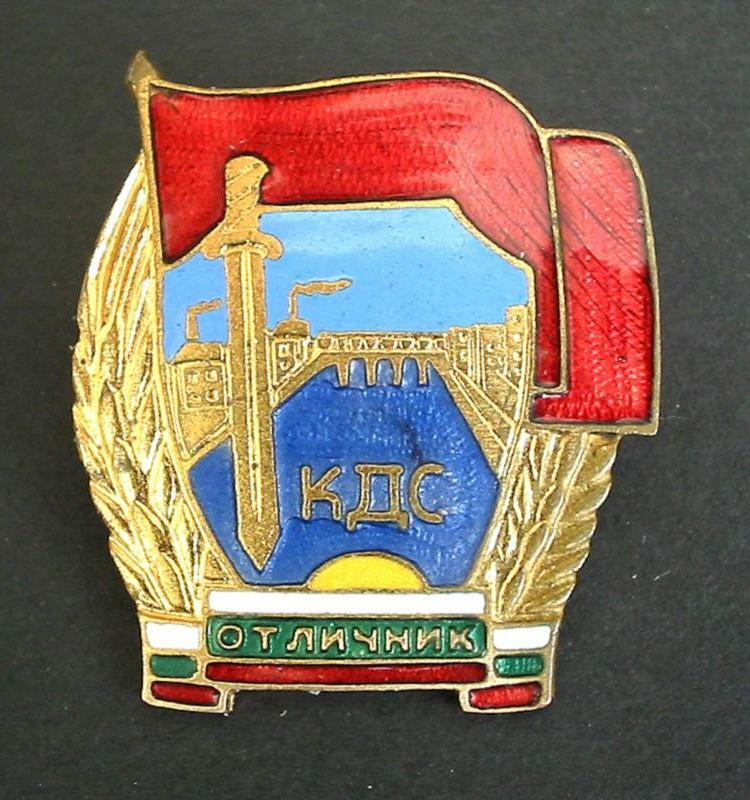 Former Bulgarian Intelligence Service pin. Journalist Alexenia Dimitrova, of the daily 24 Hours, is motivated by her father’s two terms in labor camps during the communist regime to find the mechanisms of the former Bulgarian Intelligence Service. Alexenia began attempting to access Bulgarian intelligence documents immediately after the fall of communism in 1989. In 2005, Dimitrova published the book The Iron Fist: Inside the Archives of the Bulgarian Secret Police. In an interview, she stated that her purpose was to show that there were things that should never be forgotten. She used documents obtained from the archives of the former SSS to depict the reality of the concentration camps, the links of the Bulgarian Intelligence to the KGB, the censorship of all publications, the bugged hotel rooms, the corruption of the clergy, and the harassment of dissidents. For The Iron Fist, she also used documents obtained under the US Freedom of Information Act. Since 1998 she has sent about 700 FOIA requests to CIA, FBI, Department of State, National Security Agency, Department of Justice, and other agencies asking for declassifications of Cold War era documents. In 2006 she was awarded with Golden Key Award by Acess to Information Program in Bulgaria for using FOIAs both in Bulgaria and the USA. In 2009, Dimitrova published the book The Secret Files of the Tsar, compiling information collected by the former Bulgarian Intelligence between 1946-1993 about the former Bulgarian Tsar, Simeon Saxe-Coburg-Gotha, who was elected Prime Minister in 2001. Dimitrova started her research in 1996 when Simeon first visited Bulgaria after the fall of the communist regime. She requested the documents related to the Tsar and his family held in the Archive of the Ministry of Interior. After the adoption of the Dossier Law in 2006, she was granted access to 17 Intelligence files containing around 3000 pages. The Secret Files of the Tsar contains 150 facsimiles of documents which reveal information about the love affairs of Simeon, his willingness to become a Prime Minister of Bulgaria as early as the 1960s, his connections with the world elite and the CIA, and information about several assassination attempts against him. Information about a 1944 assassination plan was also found in documents of the Office of Strategic Services held in the US National Archives. “I was shocked to see my name in the list. I spent a month to research my own case. I traced and met two ex officers responsible for that unit and asked them how my name appeared there if I have never signed contract to collaborate with the secret services and I have never written reports for them? I asked them how I was assigned a secret code name without knowing about it? These two ex officers confessed that it happened that some lower personnel, trying to make quick career, have lied for attracted agents just to fulfill the plan for recruited agents. I asked them why happened to fulfill these stupid plans with me. Obviously I was good target for black-mailing with the past of my father. But they were never able to succeed! When I requested to see my own file I was told it was destroyed. If it was not destroyed everybody would see that these people were never able to gain even a hint of collaboration with me. However, this story once again made me clear what awful methods these people used against their political enemies. And only 7 months later Alexenia published her 4th documentary book “The Murder Bureau,” a major documentary investigation of a Smersh-style Cold War clandestine operation behind the Iron Curtain. Ms. Dimitrova’s new book is based on nearly 5000 pages of previously unknown documents only recently discovered in the archives of the First Directorate of Bulgarian State Security. The rare records reveal the existence of the super-secret “Service 7”, a counter-espionage unit charged with carrying out the most sensitive — and deadly — covert operations against enemies of the Bulgarian state. The book also contains nearly 100 document facsimiles, which reveal when and how the super-secret special bureau was created, who its targets were, how the operations were prepared, when and where they were to be carried out, what weapons were used, how the weapons were secured, who the perpetrators were, how they were trained and what support they received from the Soviet KGB. The Dossier Act (and before that, the Access to Public Information Act) have succeeded in providing access to former Bulgarian Intelligence documents and answering questions regarding Bulgarian communist past. Journalists, researchers, and historians (4,000 so far have been granted access) continue to work on and research a variety of Cold War topics. Although Bulgaria was among the last Eastern European countries to adopt an access to information law, it allows a broad access to formerly restricted information establishing Bulgaria as a leader in opening and acknowledging its recent past. The legal cases of Hristo Hristov, Bogdana Lazarova, and Alexenia Dimitrova were supported by Access to Information Programme. For their persistence and the significance of their investigations journalists were recognized at the 2005 and 2007 Right to Know Day Awards Ceremony held by AIP in Bulgaria. Being the American (and second wife) of one of the diplomats exposed by Comdos (Working case IP-17219) on 09/29/2010 (http://www.comdos.bg/p/language/en/ ), it gives me a sense of satisfaction to understand his humiliation by this exposure and a small retribution for the extreme hell this man put me through stateside and in Bulgaria. Reblogged this on zZophia exploring Bulgaria & Archives.